At Virtue Dental, we recognize the importance of beautiful and healthy teeth. If you have imperfections in your smile, you can have them corrected with the help of innovative cosmetic dental services in our Yadkinville office. 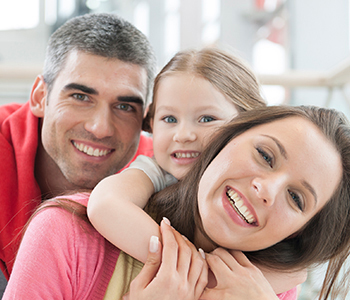 We are a family-oriented practice that will work with you to help you enjoy a whiter, more youthful smile. The benefits of a great smile are far reaching. It can increase self-esteem and confidence, and help you portray an image of happiness, friendliness, and success. Some of the most popular cosmetic procedures include porcelain veneers, teeth whitening, cosmetic bonding, dental implants, and Six Month smiles. If years of stain accumulation on the teeth makes you hide your smile, you may benefit from teeth whitening. Over time, dark foods and beverages, tobacco products, and even some medications can discolor your smile, making your teeth appear darker and your overall appearance look older. Eliminating these unsightly stains is quick and easy with the help of professional teeth whitening. We offer in-office teeth whitening for dramatic results in one quick office appointment. If you are ready to see the natural radiance of your smile again with a color several shades lighter, ask about our whitening services. Some imperfections may seem a little trickier to fix than stains. Cracks, small gaps, spacing issues, or teeth of varying sizes can all affect the appearance of the smile. Veneers are made from porcelain, which is a strong, beautiful, translucent material very similar to tooth enamel. They can cover a wide array of imperfections and give you the smile of your dreams. For teeth that are uneven, have minor spacing problems, or mild discoloration, cosmetic bonding is another option. You can see your beautiful smile and confidence restored in a single office visit. To take the first step in enjoying a brand new smile, call our office today to set up your risk-free consultation. We’ll be able to evaluate your smile and determine which procedures are best suited for your needs. It’s time to be confident in your smile again with the help of Virtue Dental.